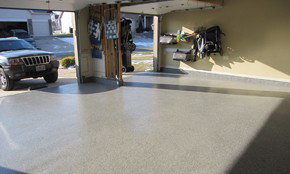 The purpose of a deck coating is to preserve the integrity of the coated concrete surface and in turn prevent water from filtering to levels below. 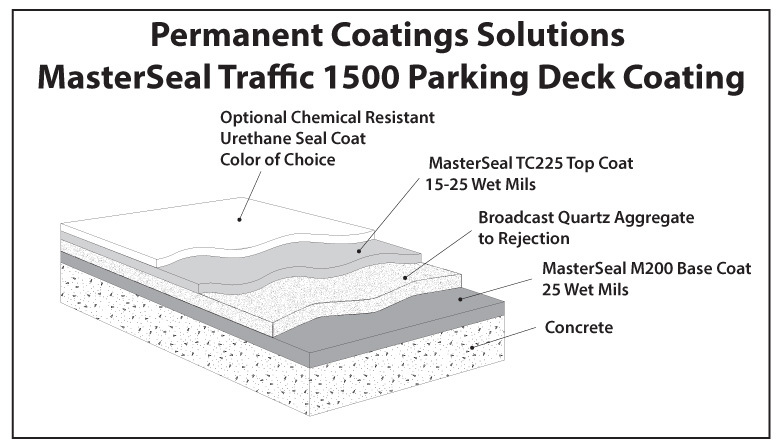 For more than a decade, Permanent Coating Solutions LLC has installed tens of thousands of SF of deck coating to residential garages and commercial parking structures throughout the Midwest. Our trained technicians attend yearly seminars as part of our approved manufacturer status with BASF, Rhino Linings, and Sherwin Williams Commercial and Marine devision. A key component of each successful application involves the input of the Home Owner or Owners representative, Contractor and manufacturer. The longevity of the system installed is dependent upon proper preparation, detailing and application. 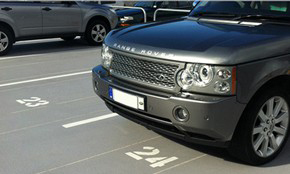 Your parking deck is constantly subjected to extremes. Vehicular traffic, weight loads, freeze-thaw cycles, thermal movement, snow plowing and de-icing chemicals quickly begin to compromise the structural integrity of your parking deck. 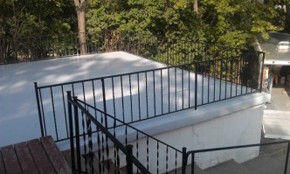 In order to preserve the life span of your deck, proper surface protection is crucial. When choosing a deck-coating system for your property, several factors need to be considered before proceeding. Important considerations include tensile strength, elongation, chemical resistance, weathering resistance, and adhesion properties. PCS can help you with all of these important decisions. 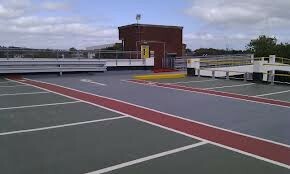 Most of our parking deck coatings are fluid applied with no messy overspray.